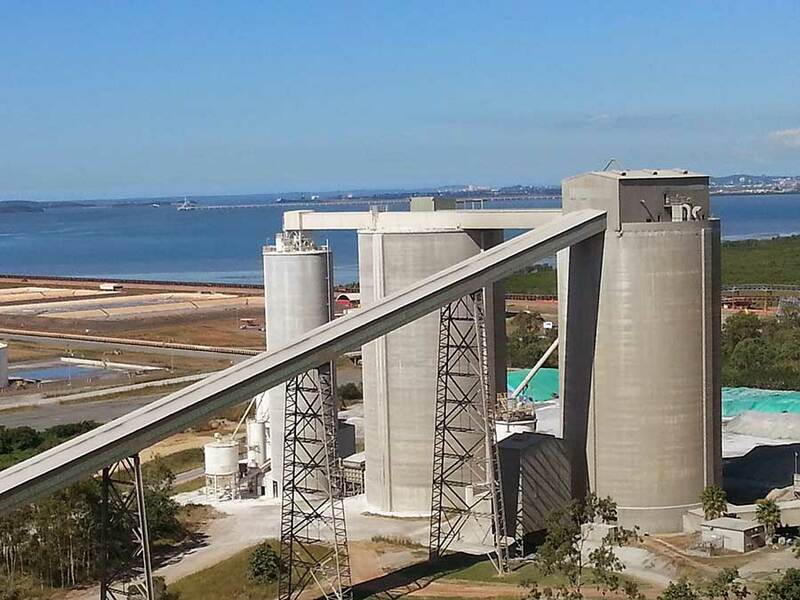 Silos from 1 to 25,000T have been cleaned using the Australian Silo Clean method. They range from both round to square in shape, bunkers, and tanks, with construction from materials as varied as concrete, steel, corrugated iron, fibreglass, and fabric. Regular cleaning provides maximum fill capacities, and in turn, increasing the revenue from each fill. When comparing regularly cleaned to un-cleaned silos, the cost from wasted storage capacity blows out. If there are 4 silos and they are 25% blocked, that means an additional bin is required to keep up the volume of product. With regular cleaning the 4 bins are maximised and have very little wasted storage area. The cost of regular cleaning is reduced when ther eis less work in cleaning out the silos. Products able to be cleaned down can vary in particle size, consistency, and density from flour to mineral ores, coal, cement, sugar, stockfeed, wood chip, fly ash, and grains. If you have any doubt at all as to whether your situation is suitable for the Australian Silo Clean System, please contact us.